The New “SS Minnow” has all the features for the perfect Swimbait jig! • Unique dual line-tie gives the option to choose the desired action or presentation as needed. 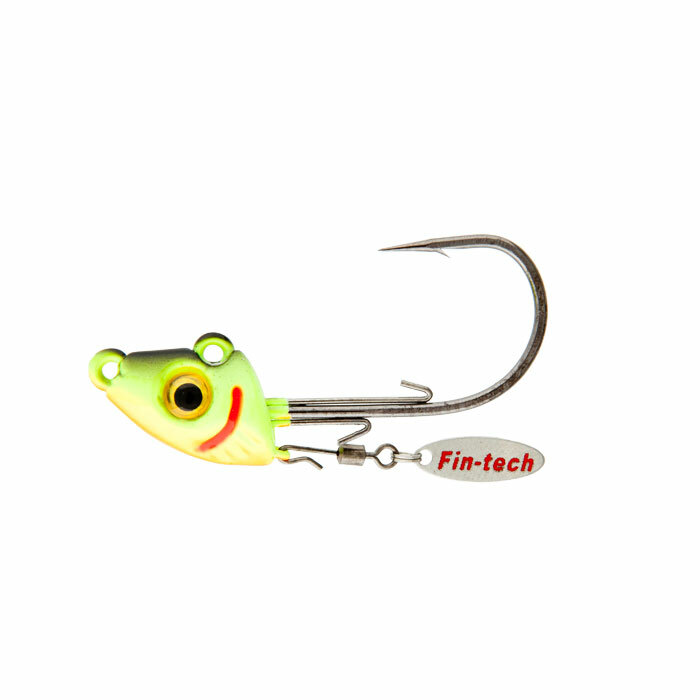 Use the top line-tie eyelet for vertical jigging and aggressive vibrating swimming action. Use the nose line-tie eyelet for a more subtle swimming/ towing action and for casting around weeds. SS Minnow is equipped with a double wire-barb keeper system for extra Swimbait lure holding power. The removable Spin Blade features a ball bearing swivel that is corrosion resistant. The Blade adds flash and vibration to draw fish in from a wide range. Remove the Blade for less aggressive action or for tying a stinger hook for short biters. The Premium Mustad Ultra Point Hooks come in 3 sizes and 2 wire diameters. 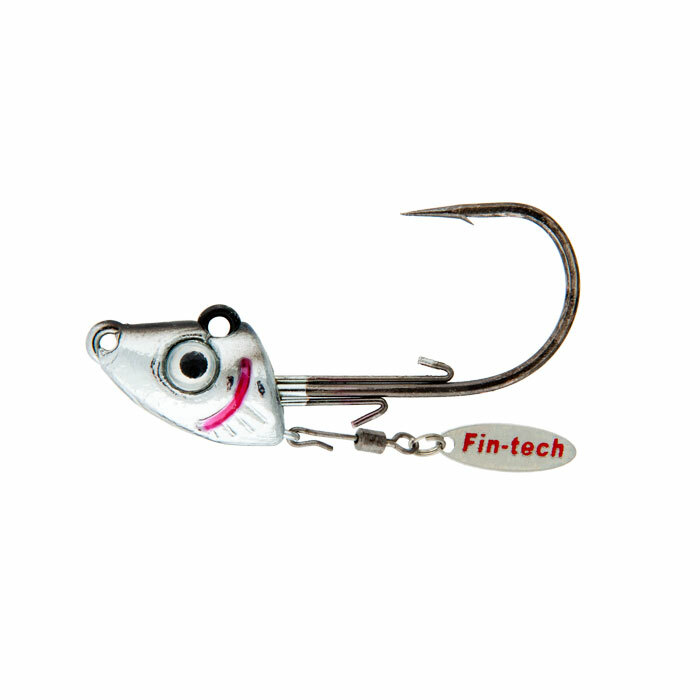 The Long thin wire Shank – Wide Gap hook is designed to handle a variety of Swimbait/Plastic lures available. This is the ultimate in Swimbait Presentations!